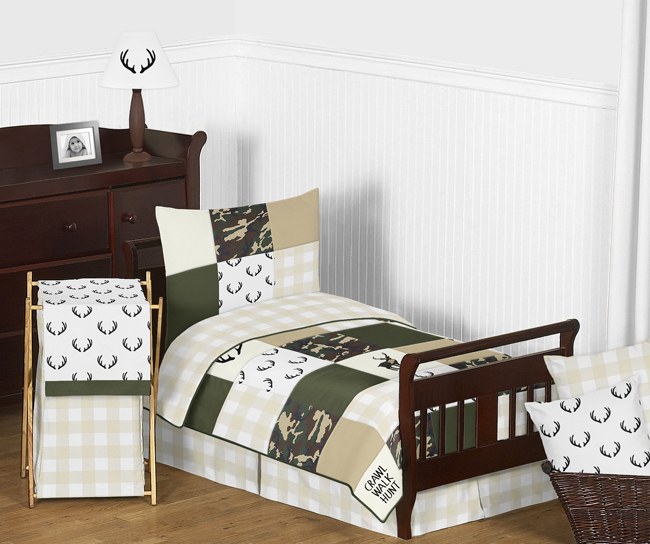 Woodland Camo Toddler Bedding set will help you create an incredible room for your child. 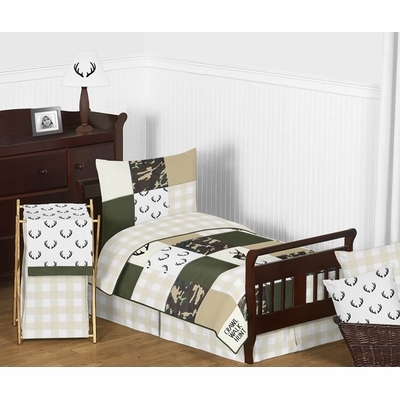 This boy bedding set features fabric patches combining applique and embroidery works of bucks, stag racks, country sayings, a buffalo check and deer antler prints and classic camouflage paired with solid coordinating fabrics. This collection uses the stylish colors of beige, ivory, hunter green, brown, black and white. The design uses brushed microfiber and 100% cotton fabrics that are machine washable for easy care. This wonderful set will fit most standard cribs and toddler beds.